Land Rover North Scottsdale has a great selection of pre-owned vehicles. 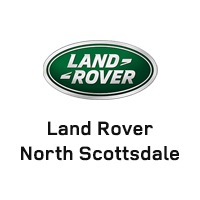 Land Rover North Scottsdale is proud to be one of the premier Land Rover dealerships in the United States. It’s a tall order that we fulfill everyday with our unwavering commitment to total customer satisfaction. From our service and collision center operated by expert technicians to our extensive selection of outstanding luxury Land Rover vehicles, our dealership offers a distinctive and enjoyable experience for each and every customer. Our inventory is brimming with vehicles that are sure to please even the most discerning palettes. You’ll find luxurious and feature-packed Land Rover vehicles that offer so many options, you’re sure to find one that feels like it was made just for you. Choose from the entire spectrum of brand new performance Land Rover models, as well as a expertly curated selection of used and Certified Pre-Owned vehicles. Whether you choose to finance or lease your new vehicle selection, our expert finance center staff can help guide you step by step through the entire process. You’ll start seeing the value before you even get to the dealership. You’ll have the keys in hand in no time without any stress or worry! Once you’ve purchased your vehicle, you can count on our service and collision center to keep it looking and driving its very best. Our technicians are highly skilled and expertly trained to maintain your Land Rover at its highest level of excellence. Are you ready to begin your journey with Land Rover North Scottsdale? Stop by or contact us today to learn more and find your new Land Rover vehicle.